Product information "Powder Design Elephant Parade Sarf"
This fabulous Powder Design Elephant Parade Sarfe is a colourful mustard mix. Dont you just love this enchanting design with wild anilams and pailley prints. 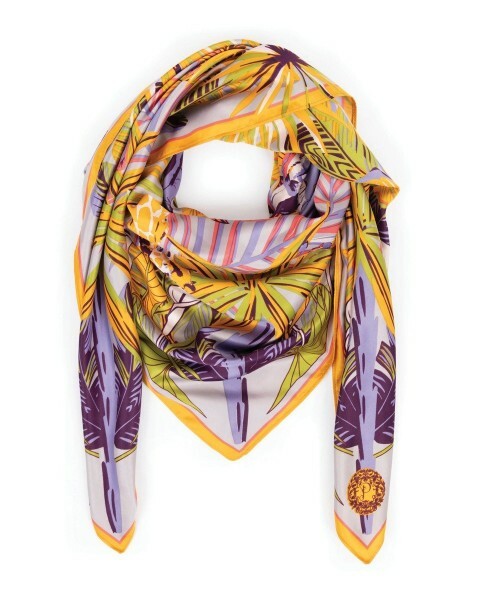 Wear it as a necktie or headscarf, it always manages to catch someones eye. 100 x 100 cm and made from 100% Polyester satin. Comes in a fabulous powder gift bag. Related links to "Powder Design Elephant Parade Sarf"
Customer feedback for "Powder Design Elephant Parade Sarf"